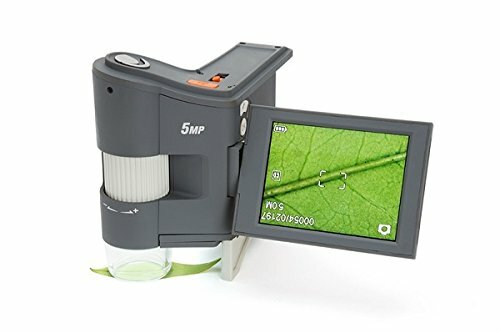 This compact yet powerful digital microscope is the very best companion for up-close remark on the go. 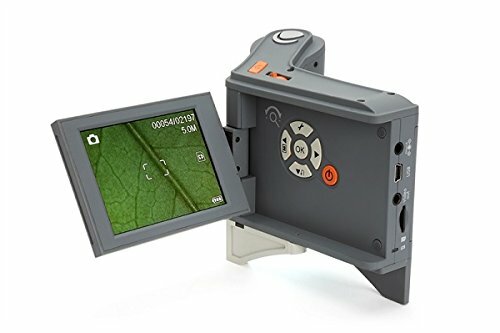 The on-board 3-inch, full colour TFT LCD screen flips out when you wish to have it, then folds back into the microscope body for portability. A rechargeable lithium ion battery provides hours of viewing time in the school room or on a nature walk. 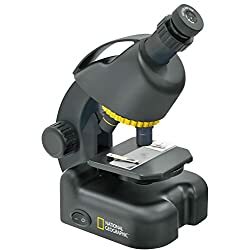 FlipView, with its 10x to 120x magnification is a low-power microscope perfectly designed for viewing an array of 3D specimens, from beach sand to bugs, coins and currency, documents, circuit boards, and more. 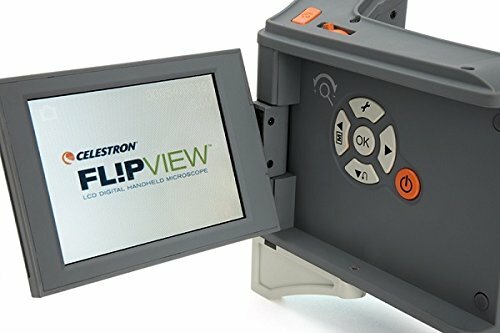 With its built-in 5 MP sensor, FlipView offers the most productive resolution you’ll be able to find on a Celestron digital microscope. 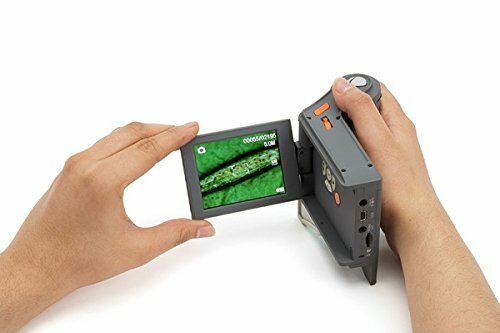 Combine that with the 5-element IR cut lens, and you’ll be able to achieve sharp images and video of your specimens. A ring of 8 adjustable LEDs provides the very best illumination for your shot. 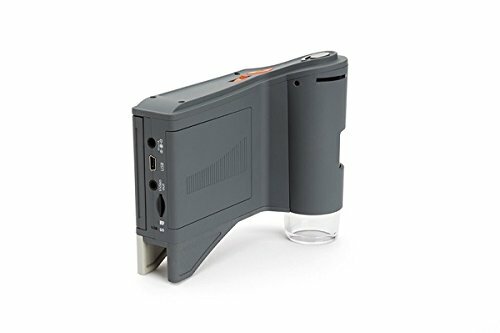 Insert any Micro SD card (up to 32 GB) to save images and videos, or plug the microscope into your computer via the included USB cable and capture images the use of Celestron’s Portable Capture Pro software. Or stream the view from FlipView to a television or projector with the included video out cable. Use it in hand-held mode for quick and easy observations. Flip out the attached leg and FlipView sits on any flat surface. 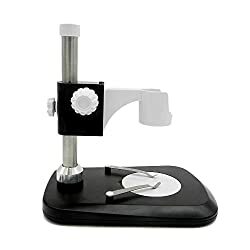 Perfect for viewing flat objects like stamps, currency, and more. 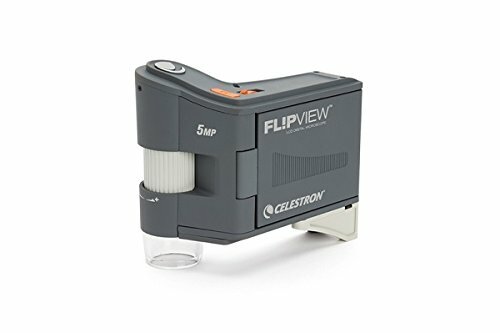 For longer observing sessions of 3D objects, mount FlipView to the included metal stand via the ¼-20 connector. The stand features two articulation points and will also be adjusted to point it precisely at your subject. 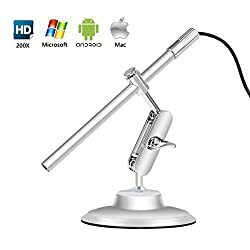 The microscope is so easy to use, and the LCD illumination is adjustable. Up to 80x magnification. 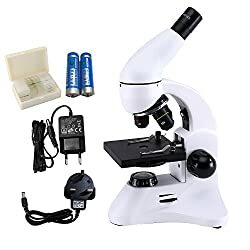 USCAMEL Microscope for Kids,Professional Student Biological Optics, with 400X LED Light and Biotic Slices, For Children Experiment Learning.